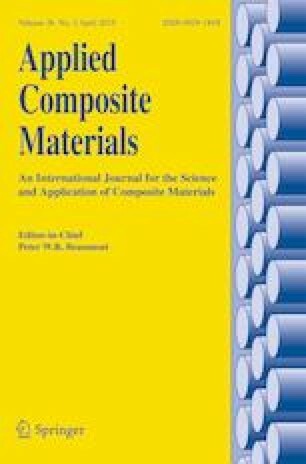 The fatigue hysteresis behavior of SiCf/Ti composites at two-stage cyclic loading has been investigated in present analysis. The effect of fiber volume fraction, loading sequence and fiber shape parameters on the fatigue hysteresis loops of composites were analyzed. Based on the law of interface slip during loading and unloading, the hysteresis loop models considering the failure criterion of fibers and interface shear stress degradation have been developed. Then, the validity of the model was confirmed by experiments. The study provides a basis and reference for further study of mechanical properties under multistage or even random cyclic loading. This work was supported in part by National Basic Research Program of China, National Natural Science Foundation of China (51675266), Aeronautical Science Foundation of China (2014ZB52024), Foundation of Graduate Innovation Center in NUAA (no.kfjj20170208).Foundation of Graduate Innovation Center in NUAA (no.kfjj20170220),Postgraduate Research & Practice Innovation Program of Jiangsu Province(KYCX18_0314).